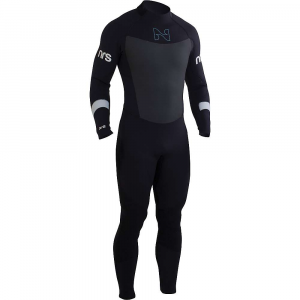 NRS Men's 4/3 Radiant Wetsuit - Mixing 4 mm and 3 mm neoprene, the NRS Men's Radiant 4/3 Wetsuit gives you maximum warmth without limiting mobility. 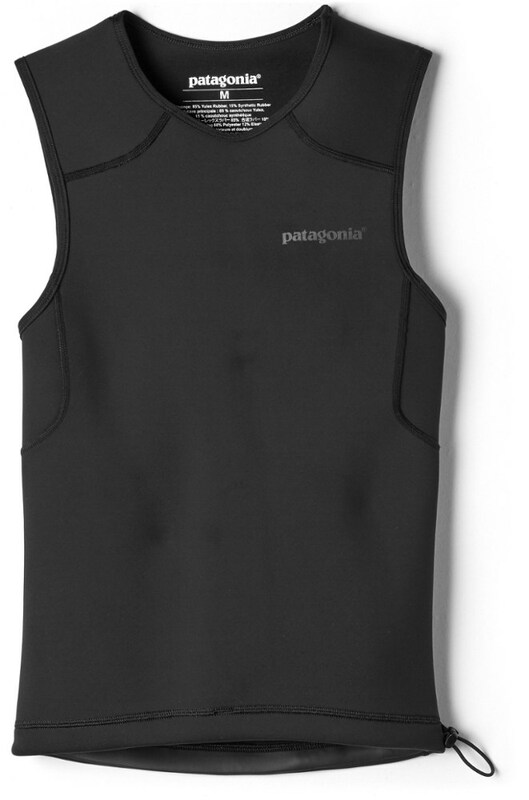 Smooth-skin 4mm Powerspan neoprene on the chest and back reduces evaporative cooling. 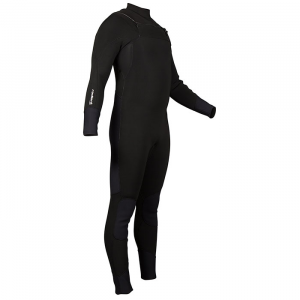 The inner torso is lined with quick-drying Checked VaporLoft for extra warmth and comfort, eliminating the dread of a cold, damp wetsuit in the morning. 3mm PowerSpan neoprene arms and lower legs give enhanced mobility, and the ThermalPlush lining is soft against the skin and reduces friction. A heavy-duty YKK zipper on the chest eliminates the need to contort your arms to zip the suit. With the butterfly opening and hoodie-style entry, simply step into the wetsuit, slip it over your head and close the zipper across your chest. fully taped and waterproof, glued and blind-stitched seams lie flat against your skin for greater comfort. Titanium-laminate adhesive reflects heat back to your body, keeping you warmer and ToughTex panels protect your wrists, ankles and knees. 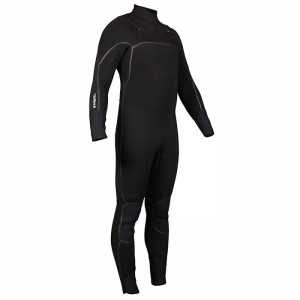 With a comfortable chest zipper, water-shedding Smooth-Skin torso and cozy Checked Fleece lining, the NRS mens Radiant 4/3 is the best paddling wetsuit on the market. Mixing 4 mm and 3 mm neoprene, the NRS Men's Radiant 4/3 Wetsuit gives you maximum warmth without limiting mobility. With a comfortable chest zipper and cozy Checked Fleece lining, it's the best paddling wetsuit on the market. . This product ships directly from NRS and will leave their warehouse in 2-3 business days. Eligible for UPS ground shipping only. .